The last two weeks have been busy what with four – count ’em – four holidays in Italy! December 25 and 26 (Santo Stefano) we spent in Ortisei (see prior posts), then returning from vacation we had two more holidays to enjoy: New Year’s Day and Epifania. Life is good! 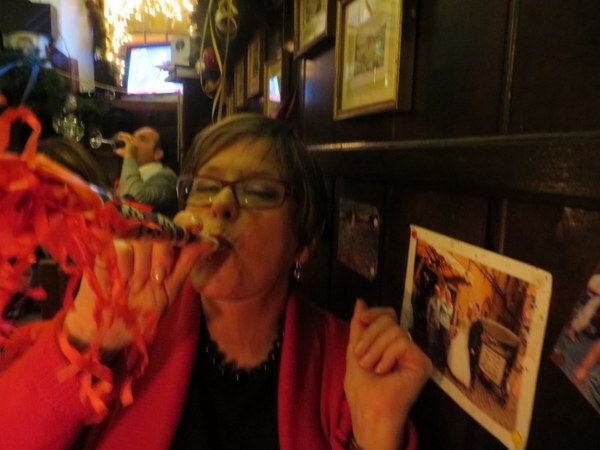 New Year’s Eve we traveled to our favorite trattoria in Roma, Antica Taverna. The owner Paolo and our favorite waiter, Giovanni, took good care of us and we enjoyed a protracted dinner with too many dishes to name them all and a steady supply of good red wine. 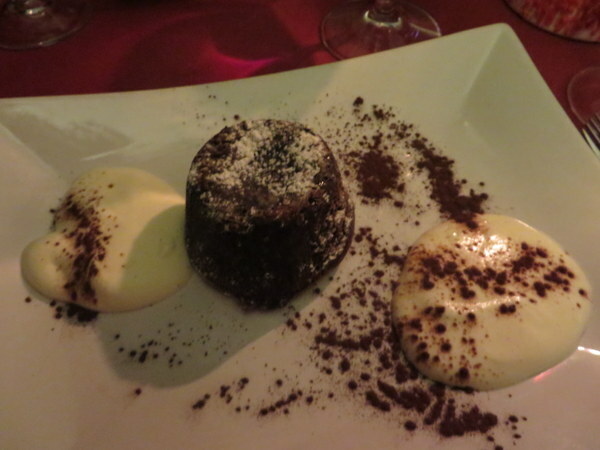 The dessert was the only item I managed to photograph, a delightful tortino al cioccolato. It tasted 10 times better then it looks. It was THAT GOOD. We slipped out before 23:00 in hopes of finding a cab before the whole city descended into chaos. The buses stop running at 21:00 on NYE because they can’t make it through the streets effectively. Can you imagine? Shutting down the buses because there are too many people in the streets? The Metro runs but unfortunately nowhere near our home. We can walk from Antica Taverna to home in 75-90 minutes, but it was really cold (for Roma) and walking did not seem like much fun. What luck! We found a cab at an obscure cabstand near the restaurant! Got home in time to endure 45 minutes of neighborhood revelry. Some year we need to be brave and go down to the party in via Fori Imperiali and see the fireworks over the Colosseo. Some year. 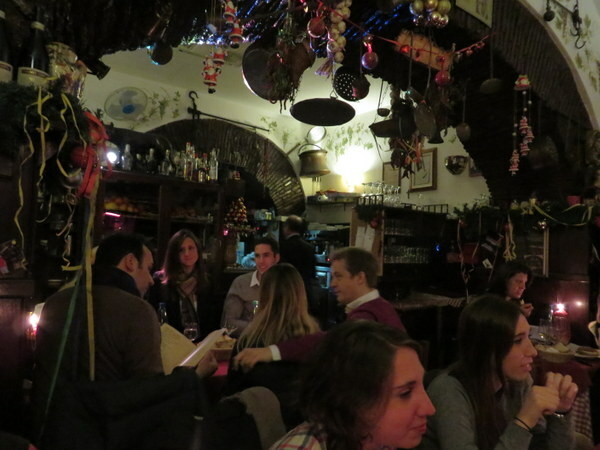 Cozy little Antica Taverna. We’ve been coming here for four years now, since our first trip. 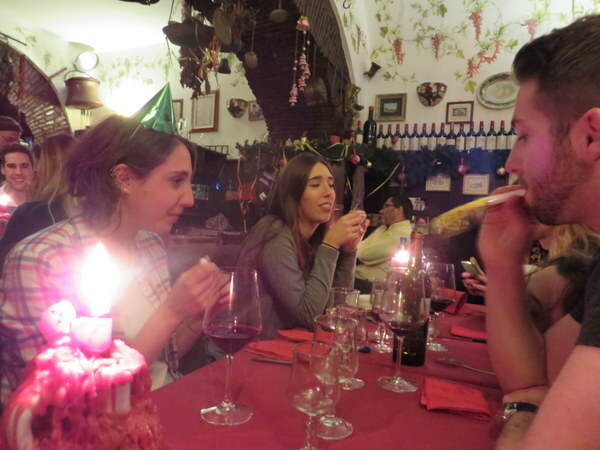 The table next to us consisted of three Italian women and one French guy who spoke not a word of Italian or English. 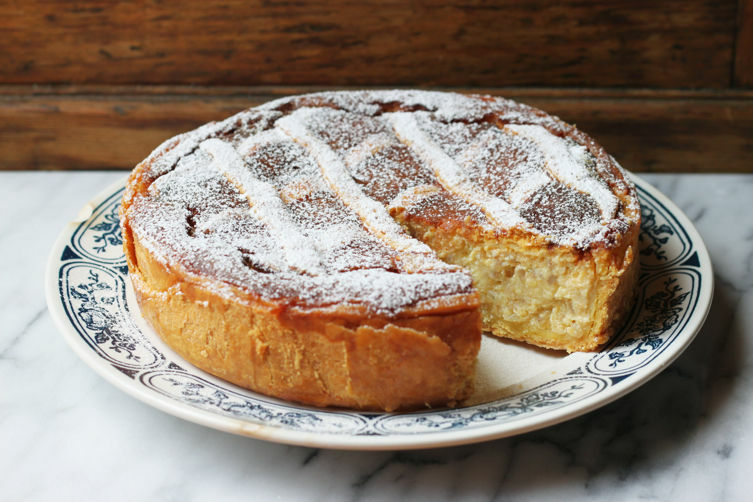 Tortino al cioccolato – Yum! If I’d known they had this at Antica Taverna, I’d have ordered it long ago! 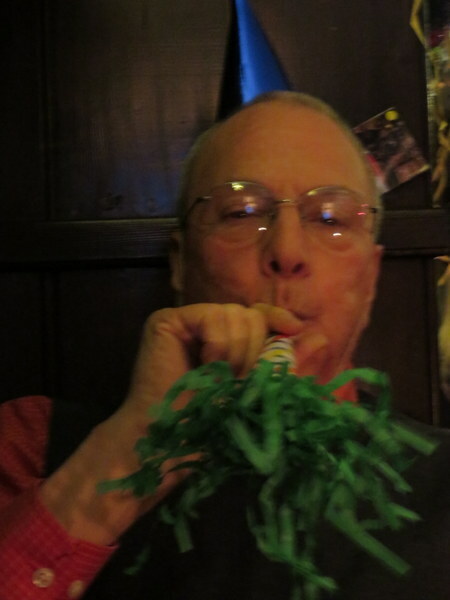 We are not ones to don party hats and blow noisemakers, but we did. Early. 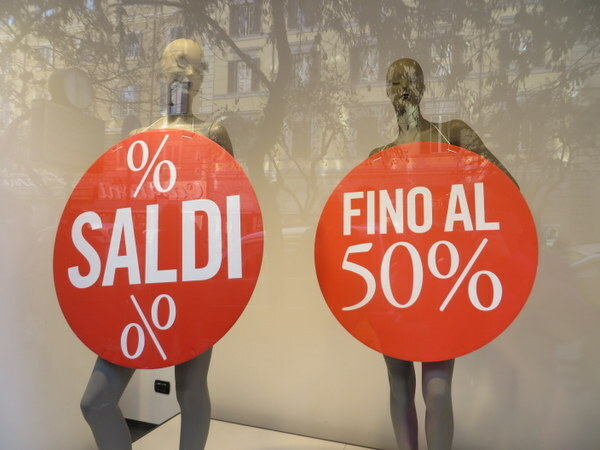 This weekend was the start of the winter saldi (sales). 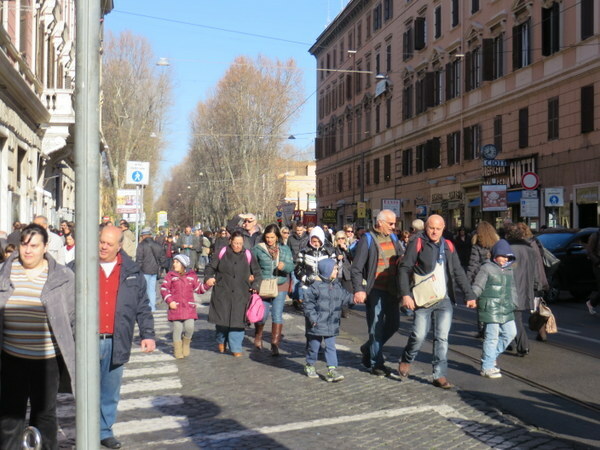 We had a couple of purchases in mind and headed out into a bright if chilly Sunday along with THOUSANDS of people making their way to our destination, a major shopping street near the Vatican. We made our way by bus to transfer to the Metro at Termini. The Metro was packed like the Japanese subway on a business day. I wanted to take a picture of how crowded it was, but I couldn’t maneuver to do so packed in as I was with my arms pinned! We wondered at so many people heading out to shop! We might have bailed in the Metro station but by that time we were like cows going through chutes and there was no turning back. Moo. When we got to our stop, the hoards headed down the street toward the Vatican. It was then that we realized they were headed to Piazza San Pietro for the Pope’s angelis. Shopping was busy too, but not quite the cattle drive. The hoards on Via Ottaviano between Metro and Vatican. Sales are regulated and the big ones are January and July. Discounts are steep. 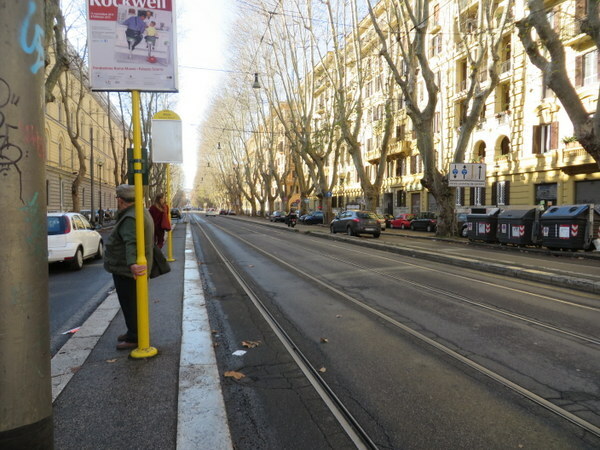 By contrast, here was the street while waiting for our tram home a few hours later. Today is Epifania, the official end to the Christmas season, also called Befana, when the witch La Befana visits the children leaving candy for the good ones and coal for the not-so-good children. Having no young children around and having spent Christmas out of Roma, we decided to have a small group of friends for a decidedly non-traditional lunch. Is Italian-Swedish a fusion cuisine? Our new friends and soon-to-be-landlords had voiced an interest in Swedish meatballs, and she wanted to make a special Neopolitan pastiera for dessert. 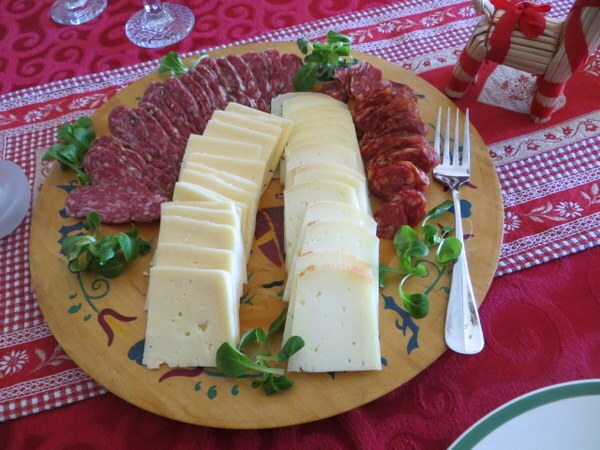 Combined with a purè di patate casserole, Swedish pickled herring, Swedish cheese, a beet salad, and Italian salumi, it was cross-cultural event. Unfortunately as we got into entertaining we forgot to take more pictures! This is the first tree we’ve had in four years. 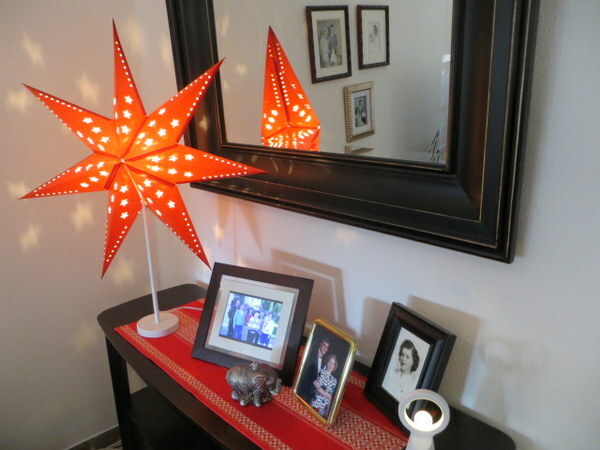 A corner of our living room decked out. 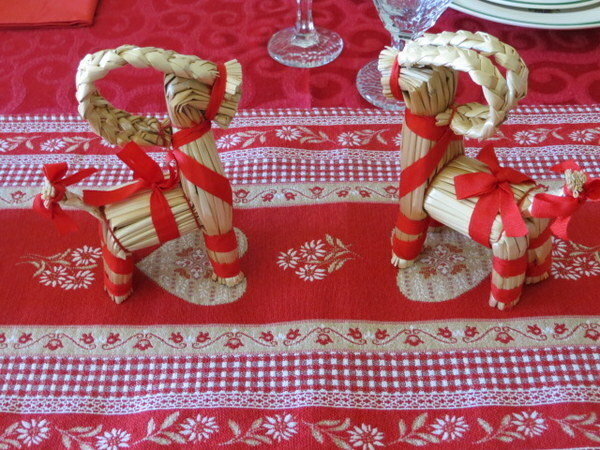 My Swedish julboks sitting on a linen runner from the South Tirol. This is not Angela’s dessert, but it looked similar. Very tasty! Kind of like a cheesecake. So now we have to go a week-and-a-half until the next holiday, Martin Luther King’s birthday. Hope I can make it! I had to look up your reference to a holiday I don’t know, Epifania. Epiphany is a religious holiday celebrated on January 6. 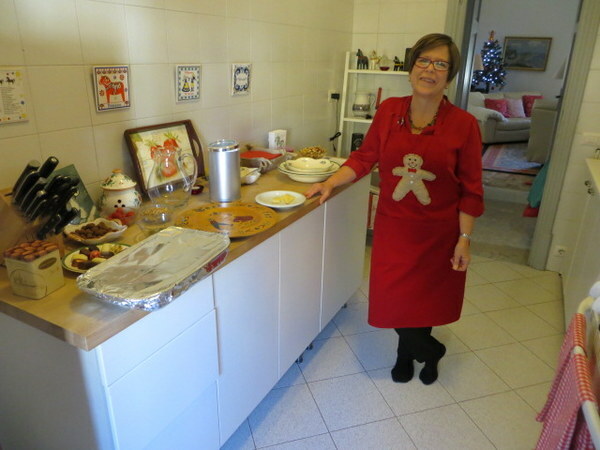 In Italy, though, they celebrate La Befana, an old woman, a witch-like character, who brings gifts to the good kids and coal and garlic to the naughty ones. This is very interesting and I’m sure a lot of fun. Hi Bob! Welcome! I enjoy your photogrpahy very much. Carolyn Leonared started sharign with me quite some time ago and I finally subscribed to your blog. My photography is quick on-the-go point-and-shoot but it’s sufficien tfor my memories. Hope you stop by again! Ah, Carolyn, my best zoo buddy. She has done a lot of promotion to my site. I have bookmarked your blog and shall return to look at more of your adventures. Laurel, you look radiant and happy. Rob Keranen and I just had a conversation that circled back to you this morning. Happiest of New Years and I’ll take two of those desserts! Thanks Stephanie! Come on over and I’ll have my friend make them for you! I used to shop on Cola di Rienzo near the Vatican. I loved the wool sweaters that they sold because they were just the right weight for California and the colors were fantastic. I also remember that being on the street Jan.31st at midnight was taking your life in your hands. Hi Chloe. We haven’t been brave enough to be in the streets. We’ve talked about getting a room near the Colosseo some year so we don’t have to travel home after. We’ll see! Ciao Bella! Buon Anno! When are you going to come and see me? How many holidays are they actually per year in Italy? And does the country observe MLK or do you observe it being an American? Buon Anno Marcia! 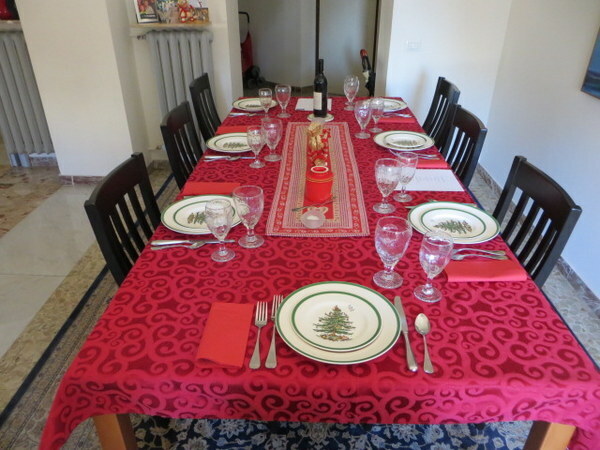 The Embassies observe both American and Italian holidays. That means 8 extra holidays for us in most years. I say “most” because it can vary from year to year. If an Italian holiday falls on a weekend, we do not get a corresponding Monday or Friday off. Interesting that the same holds true for Italians: if the holiday falls on Saturday, for example, they do not get Friday off. Even for huge holidays like Christmas and New Year’s. Sounds like the perfect New Year’s Eve celebration. 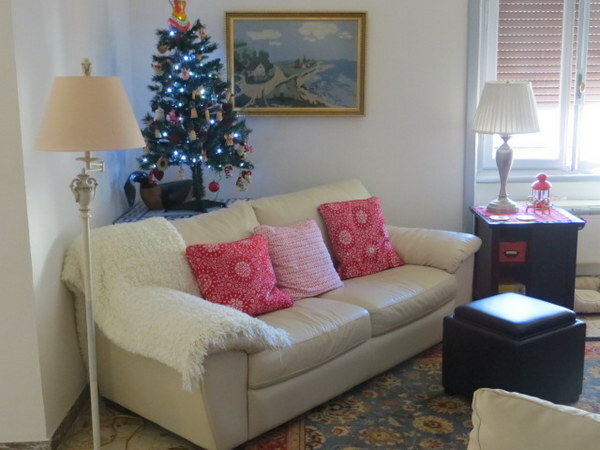 Love the pictures of your little Italian nest! Happy New Year to you both. Retirement in 2015 will make this an even more spectacular year for you and Ric.